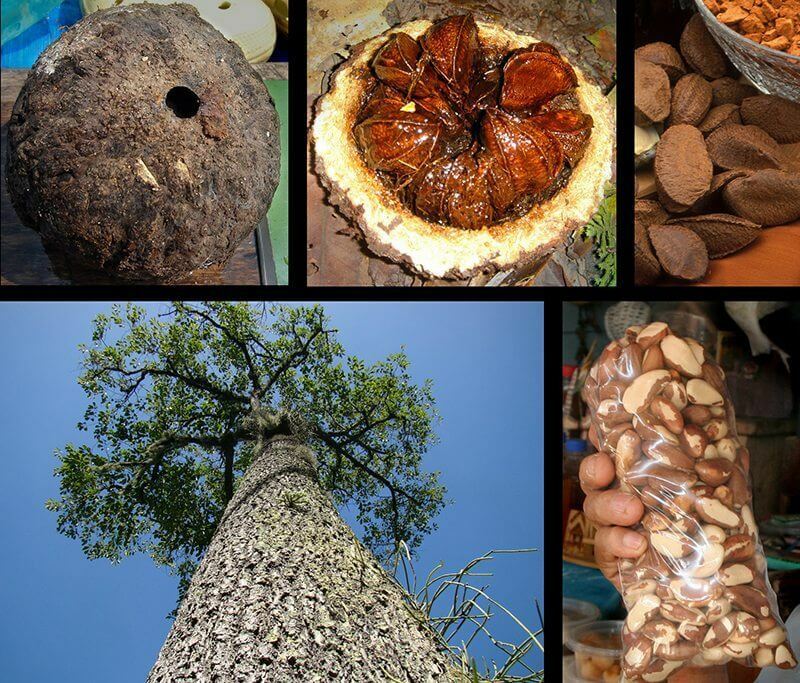 The Field Guide to Nature Needs Half, Part 3: The secret to saving the rainforest? Hint: It’s smaller than you think. Click here to find the previous installment of the Nature Needs Half Field Guide to the Kayapo Project. 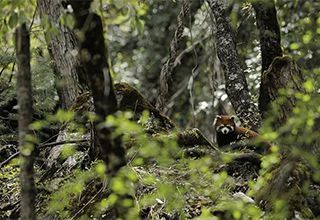 This is the third installment of a five-part series featuring a partner project in the Nature Needs Half Network. Each installment will run weekly, and every month we will spotlight a different member of the Network to reveal how their work is connecting nature across the planet for the benefit of all life on Earth and to ensure that we achieve our goal of 50% protected by 2050. Summary: Where do you find your power and independence? The Kayapo find theirs beneath the rainforest canopy. In this installment of the Nature Needs Half Field Guide to the Kayapo Project, discover how the gifts of nature can revive the autonomy of an entire culture. 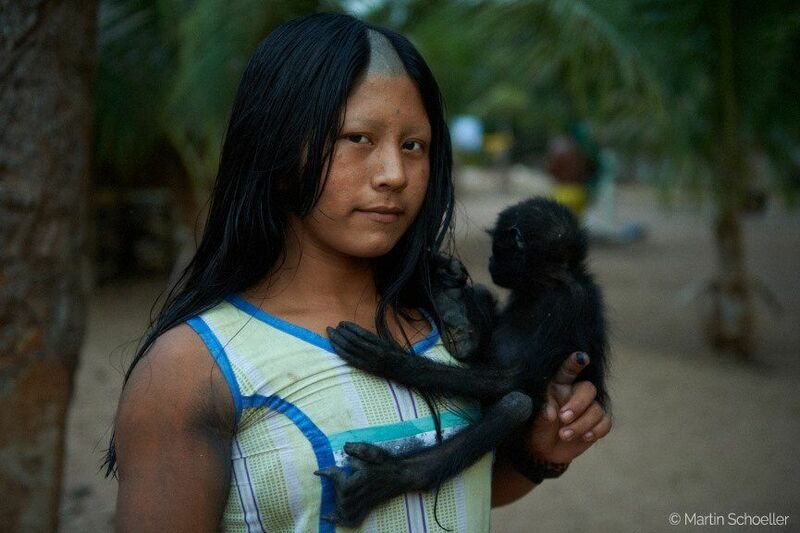 In Kayapo lands, everyone knows the shape of the universe. It’s a wasp’s nest. No one has actually seen it of course. Nothing like that has happened since the time of the ancestors. In those days, before men descended to Earth on a rope cast through an opening in the bottom of the heavens, they gazed across the cosmos and noticed that it was a circle comprised of many delicate layers. 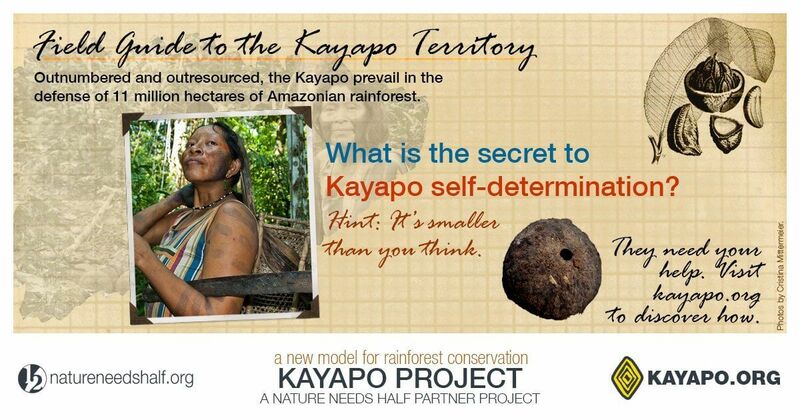 In Kayapo lands, the shape of a thing can tell you a lot about it. Gathering their harvest, they return to the village and prepare the nut for global trade. The village that is their home is tranquil and healthy. The nearby forest is plentiful with food and even entertainment. The spectacle of monkeys scampering between branches to the attendant calls of parrots and macaws is a frequent and pleasant reminder of the rich web of life all around. Opportunities to live with dignity abound. 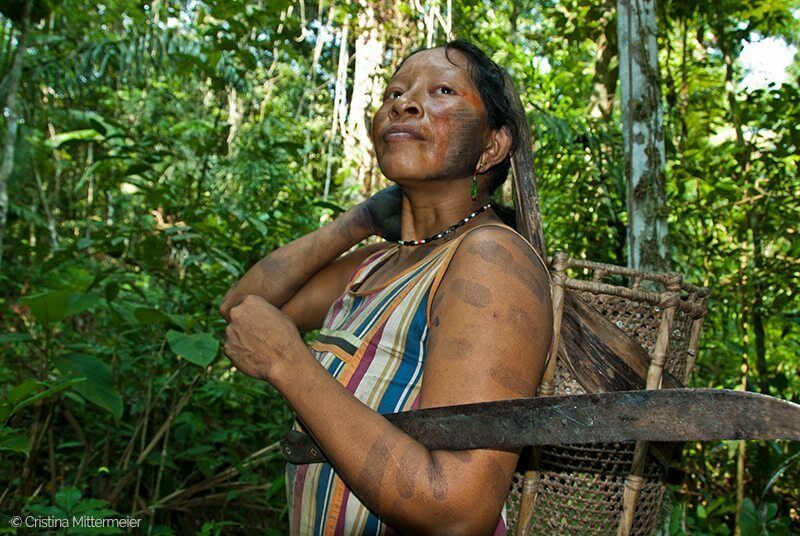 Your help bringing greater awareness to the efforts of the Indigenous peoples who are defending the rainforests for the benefit of all life on Earth is essential. Please consider sharing the image below with your networks on social media. Thank you!